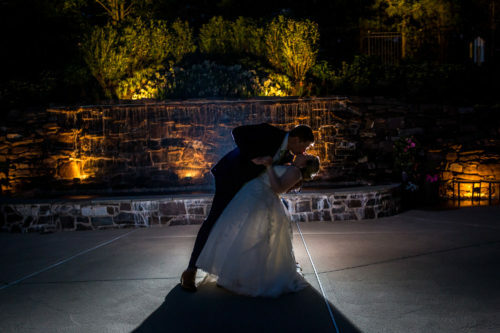 May 2018 Wedding of the Month: Megan Shane & Chad Munchbach - RiverCrest Weddings - Montgomery County, Chester County & Philadelphia's premier wedding venue. 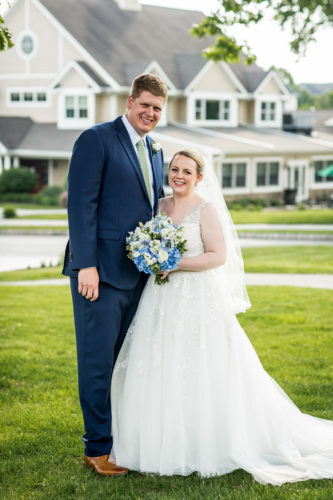 We had looked at a few places as potential wedding venues, but when we visited RiverCrest, we just had the feeling that it was the right place. It had the perfect mix of elegance and comfort, which was exactly what we were looking for! 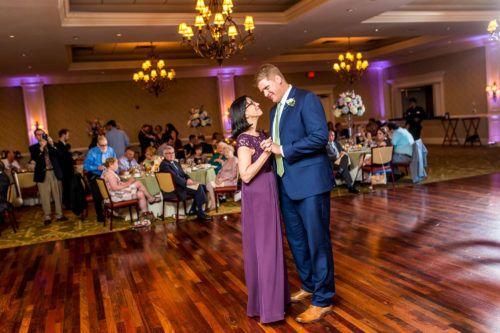 Additionally, RiverCrest was more than happy to work with us to ensure that our wedding day was exactly what we wanted—from the food to the set up and lay out of the room— Michele and the rest of the staff were amazingly supportive and accommodating. 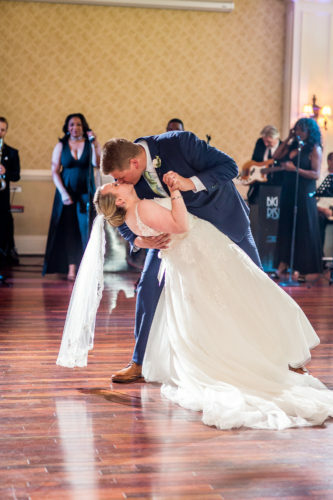 We had an amazing wedding day, but our favorite moment was when our band leader had Megan sit in the middle of the dance floor while Chad joined him singing “My Girl.” Both sweet and comical, it was a surprise to all (including Chad) and extremely entertaining! What was your favorite item from the menu that you selected? The menu and food options were amazing, but the highlights were definitely the Cheesesteak Eggrolls and the Mashed Potato Bar. We had a wonderful European honeymoon. We had a blast visiting London, Paris, and Munich. 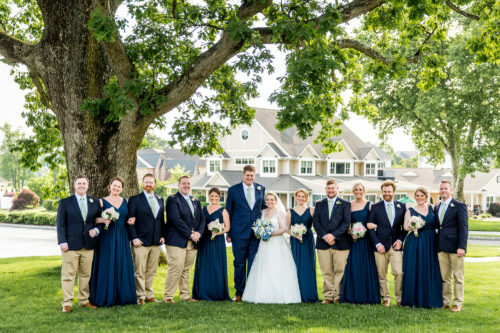 Dress Information (Where did you purchase? 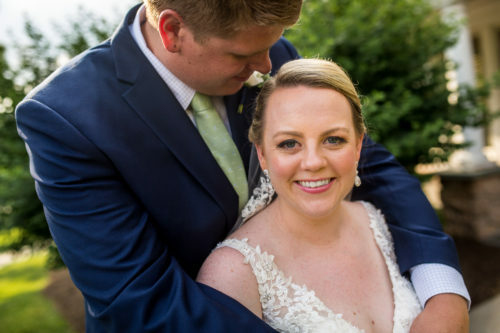 ): Agnes Edmonds Bridal in Pottstown—Bridget is extremely knowledgeable and easy to work with. My advice to future RiverCrest brides would be to not overthink or over analyze your decisions. 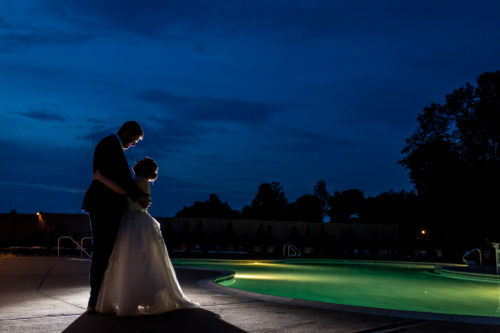 Think about what you want your wedding day to look and feel like and go with your gut about your decisions! 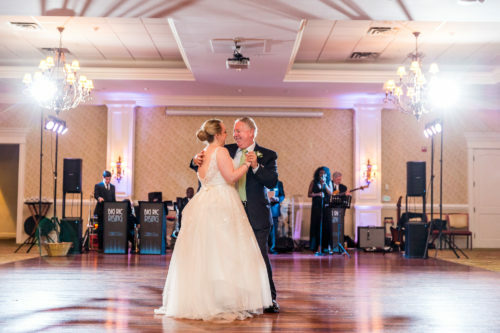 Additionally, Michele and the RiverCrest team are great advisors and are well versed in helping plan amazing weddings—they will not lead you astray! 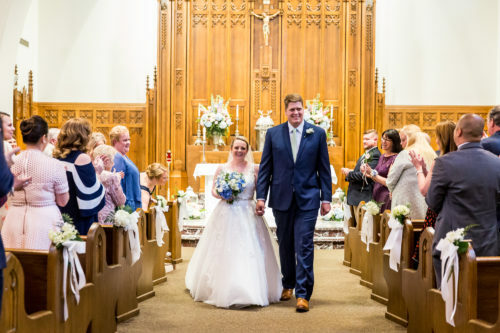 Congratulations Mr. and Mrs. Chad Munchbach!